regardless of content, size, media, or any other variable, a poster is a poster: this is our collection of the best. smart home technology is tech you live with: digital devices and systems that operate inside the home to create a simpler, faster and more efficient way of life. whether it's checking your fridge from the aisle of the supermarket, or boiling your kettle from under your duvet, smart home technology means your devices and appliances can speak to each other, so you can control them all under one roof. 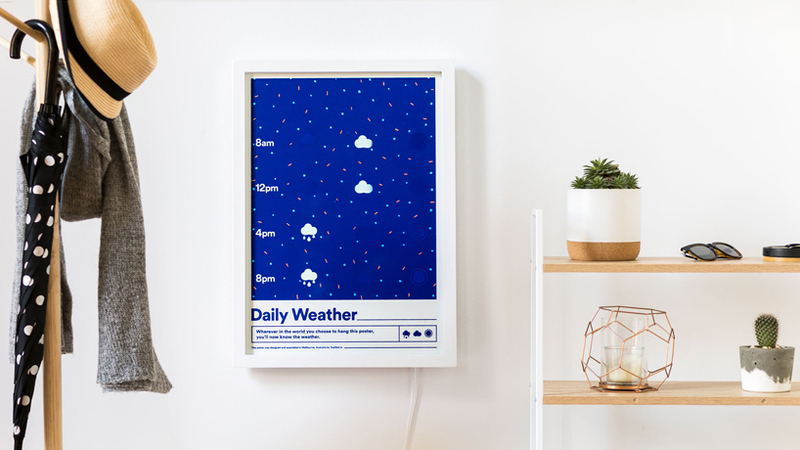 in a bid to minimize smartphone distraction, melbourne-based studio typified has created a smart weather poster that updates throughout the day. 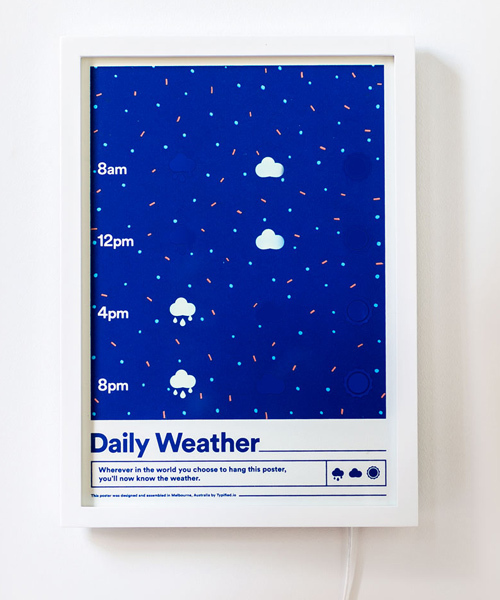 the silk screen printed poster uses smart ink and a tiny internet connected computer to reflect the day’s changing forecasts. smart ink defines any ink that has been engineered at a chemical level to change colour in response to a certain stimulus. 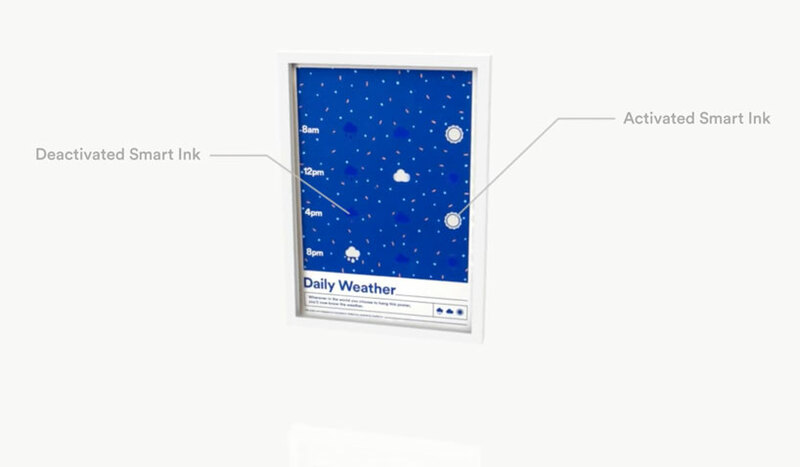 this technology allows for a tiny computer to interface with the smart ink, in this case changing according to the weather information it receives. as the weather forecast changes, so does the ink on the paper. 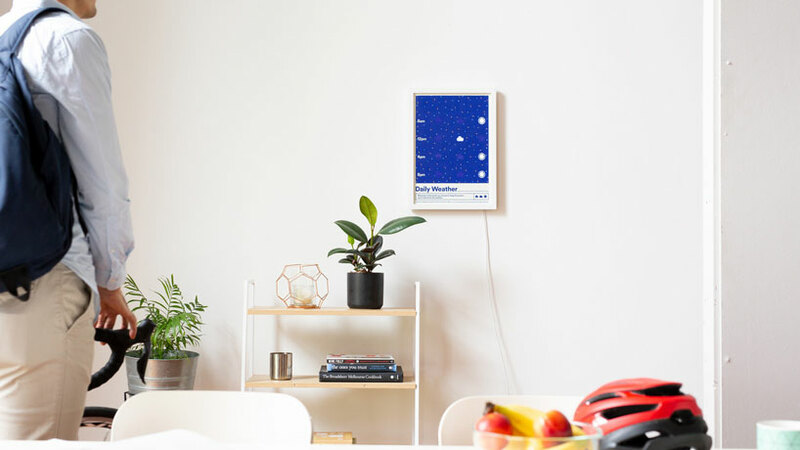 the poster simply plugs in and connects to your WI-FI before showing you the weather at four different points throughout the day – 8am, 12pm, 4pm and 8pm. 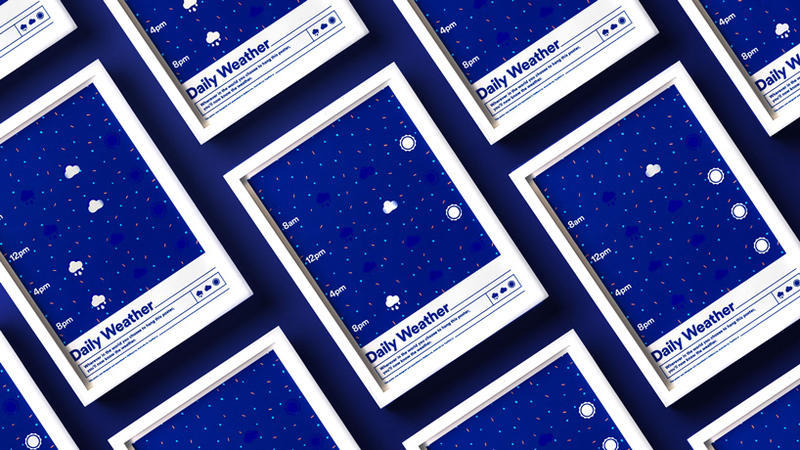 it displays 1 day’s weather forecast at a time using a criteria based on how someone would dress according to various weather patterns. these different weather types are grouped into 1 of 3 symbols: rainy, cloudy or sunny. 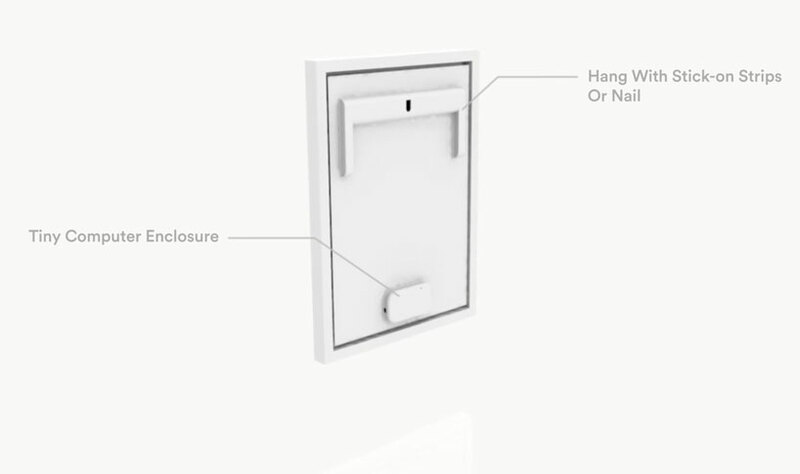 the electronic circuitry used in the poster is made via modern PCB manufacture and pick and place machines. the micro computer is sourced from a northern american IOT company. the frame is made from american oak with a glass pane with the back plate vacuum formed and additional internal components are CNC machined. typified says the poster will be available in an exclusive run of 500, a comment on the mass production of screens which are produced in millions of units. the team will then use that poster to inspire the next design, taking the pressure off the design team and minimising the impact and waste, problems inherent in production. the first poster is available to pre-order from kickstarter with the studio planning to have 5 varying designs in each series that follows, before changing the visual theme entirely.